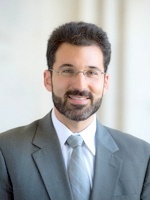 Matthew Rojansky is an adjunct professor at the Paul H. Nitze School of Advanced International Studies, and the Director of the Kennan Institute at the Woodrow Wilson International Center for Scholars. He is an expert on U.S. relations with the states of the former Soviet Union, especially Russia, Ukraine, Belarus, and Moldova. Over the last three months Ukraine has progressed from a situation in which initially entirely peaceful protests about the President’s refusal to sign an EU association agreement became gradually more dire. Eventually you had fighting in the streets, which resulted most recently in the fall of President Yanukovych’s government altogether. Now Ukraine is in the process of forming a new government and in some ways, an entirely new political system. Because Systemic dysfunction was part of the reason of the old government’s abuses and the disaffection of the majority of the Ukrainian population. What are the structural reasons for the upheaval? The biggest structural reason is actually the dysfunction of the post-soviet economy. Ukraine, like many other post-soviet countries, never really transitioned to a balanced and healthy market economy or a relatively liberal democratic political system. With rare exceptions, those two things do not exist without one another. Ukraine is a case where the dysfunction reached a point where most people were disaffected most of the time. Think corruption in unreformed soviet institutions of economic life, like a factory town’s mega-oligarchs, or retirees who expect to be fully taken care of by the state and not even by a private company but by the state. Labor and capital are just not productively deployed in the economy. So people are very upset with the state of their lives. On top of all that, there was a perception that the people at the very top, the political leadership and the oligarchs, were corrupt and living very well. It is true, and this gave people a target for their anger. Is this a problem of national identity? Ukraine has always been a very pluralistic place because it is a borderland, which is what the word “Ukraine” means. So it has always had a more western or central European element to it. Areas of its territory that have been associated for centuries with the Habsburg Empire and those parts lean towards Europe. It has of course territories that have historically been part of Turkey and various Muslim Empires and Khanates, and of course it has Russian territories. The whole place was under the Soviet Union, so it had a strong Muscovite influence throughout the country. There are many other ethnic minorities in the country still today, perhaps several hundred thousand Jews, Hungarians, Tatars. The problem is that it doesn’t have a civic identity, one that facilitates healthy mixing and pluralism. Ukraine has always cast about for some kind of ethnic identity, like most European countries have, but it doesn’t have such a monoethnic population like, for example the Nordic countries, to make that possible. These recent events are a rejection of the Soviet-Russian side to the Ukrainian identity, which is based on narratives like the Soviet victory in WWII, Greater Russia and the Russian Orthodox Church. The question now is whether it swings to the opposite extreme, to a kind of European-Ukrainian language, rather than Russian, the Ukrainian Greek Catholic Church, or at least the Kiev Patriarchate, rather than one connected to Moscow. If Ukraine rejects all those things that are Russian, it’s going to have all those problems it had before. There have been worrying reports of right-wing extremists. It is not like they are present in very large numbers, although I think they are overrepresented in the Maidan over the last several weeks. Because it became violent, more peaceful people were inclined to back off. So there was an overrepresentation of really radical, violent nationalist forces. And you did see very troubling things, like people raising white supremacists flags and neo-Nazi symbols. Some of these parties, particularly the so-called Right Sector, as well as Svoboda, which is a seemingly mainstream party, are associated with this very exclusionary vision of Ukraine. Their presence did two things. One, it inclined the new government of Ukraine to tread very lightly with them and give them a fair amount of influence, because they need to keep the Maidan happy. Second, it scared the Russians. It reminds the Russians of WWII, when there was a real Ukrainian nationalist uprising based out of western Ukraine. Even many years after the war, Ukrainian nationalists murdered Soviet officials, regardless of whether they were Ukrainian or Russian. So the Russians are very afraid that these kind of violent strains are going to return as the official policy of the Ukrainian state, which is pretty scary if you’re Russian, whether inside or outside Ukraine. Poland has been very active in mediating the situation. What do you think is its role? Poland has mostly played a very productive role. I think Poles now enjoys the position of securely being part of the European family and not having to worry that they’re on the front line with Russia. So they have the luxury of being able to advise the Ukrainians to be more moderate, to be more inclusive, to behave in a less paranoid and inflammatory way. They have been very effective in ensuring the previous Ukrainian authorities did not go too far overboard. 100 people dead is horrible, but it is much less than how many could have died once people start shooting each other in the streets of a major European capital. And the Poles played a major role in that up to the last minute, when the Polish foreign minister, with the French and German counterparts, went to Ukraine and hammered the opposition to take power and urge Yanukovych to disappear.